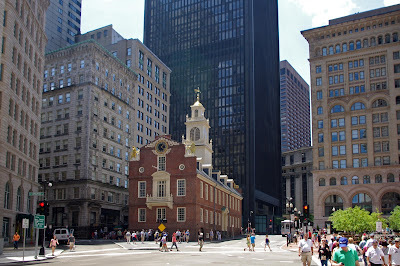 It has taken me an age to get this post in order but I wanted to share what a fantastic trip Paul and I had for our 25th wedding anniversary to New York and Boston. It all started with our gorgeous daughter giving us two of her free flights on Virgin Atlantic and we were very happy to have an up-grade to business class! We had three nights in New York and I got to see all the places I had dreamt of! We had to go to Central Park which I will always remember as the place where I lost my expensive glasses and had to spend the next few days wearing prescription sunglasses day and night until I could get a new pair made up and sent on to Boston by UPS (who then lost them!) It's not so cool wearing sunglasses to read menus when you aren't a celeb. We had a great trip out to Liberty Island on the ferry and then on to Ellis Island - the heatwave hit the city that day and it was such a relief to be out on the water. Paul has edited out the tower cranes from around the statue as the platform was being refurbished when we visited. I like this one of Paul and I with the city and the new building at Ground Zero so high in the background. It is so hard to get a picture of the Empire State Building from down below - Paul got into trouble at the top in the viewing area for trying to get his head and camera out of the railings to take pictures of the view from the top! Leaving Times Square behind we drove up to Woonsocket in Rhode island which is just on the boarder with Massachusetts. We stayed in this gorgeous heritage bed and breakfast called The Pillsbury House for 6 nights. 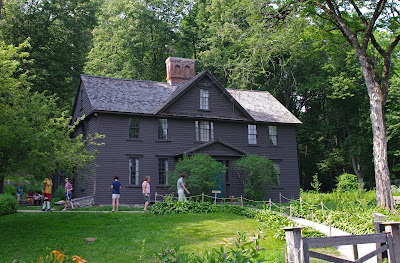 and finally a must to for me in Concord - Orchard House - the house of Louisa May Alcott and her family, a fascinating look at how she lived and where she wrote. 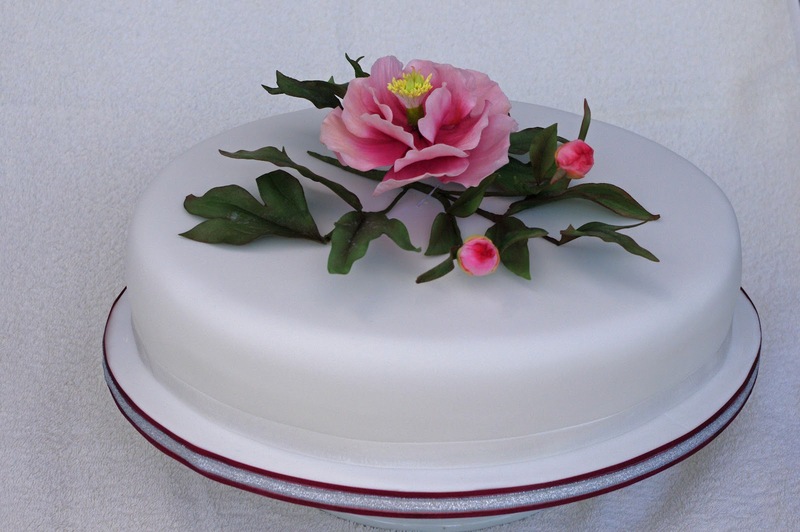 And do take a look at the beautiful cake that my dear friend Pam made for us - check out the stunning peony flowers which she created! If you made it this far - thanks for indulging me! Loved hearing about your trip and the cake looks amazing. 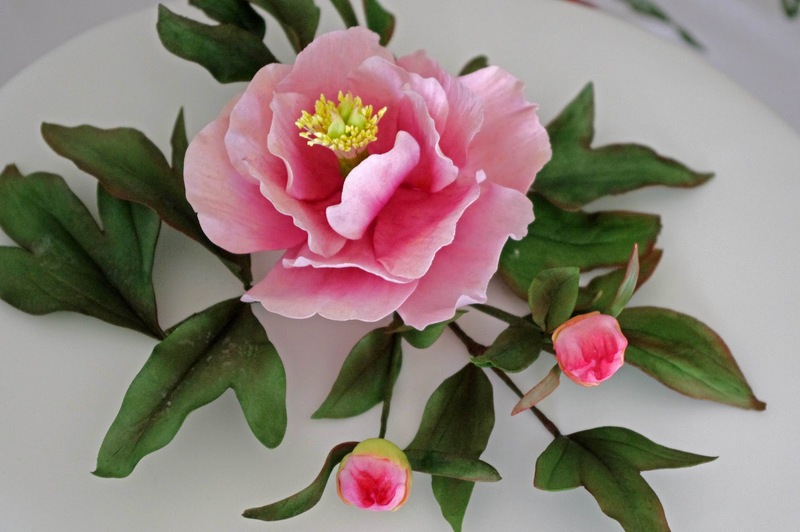 The peonies look fabulous. Your trip sounds like it was just perfect!! I'm so glad you had such a great time! I so enjoyed your pictures....I'm glad you shared them here! 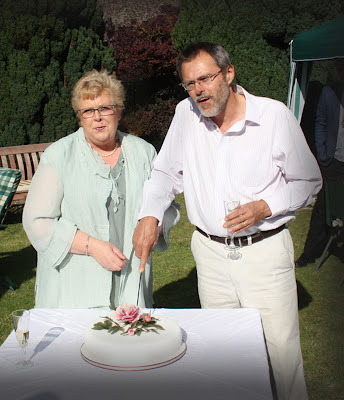 Happy belated anniversary, dear friend!